Auto body repair requires extensive training and expensive tooling these days, setting classic independent auto body shops squarely on the road to ruins. Automotive innovations such as aluminum body panels and self-cleaning paint are cutting-edge today but they’ll be commonplace tomorrow, so if you’re thinking of taking the family ride down to (insert folksy name here) Auto Body next time you dent a door, fuggeddaboutit! 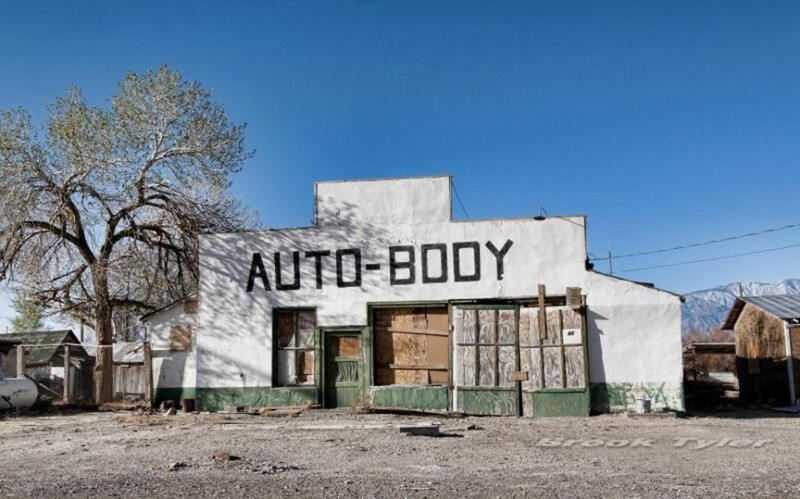 End result: hundreds of abandoned auto body shops across the nation, from big cities to tiny towns like Keeler, California (population 66). 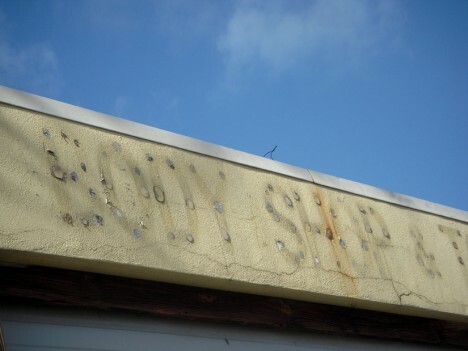 Indeed, neighborhood auto body shops are fading away… and so are their signs. 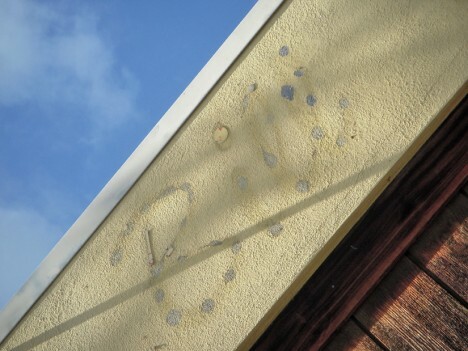 Flickr user suism1 captured the rough and weathered “labelscar” above on January 13th of 2010. 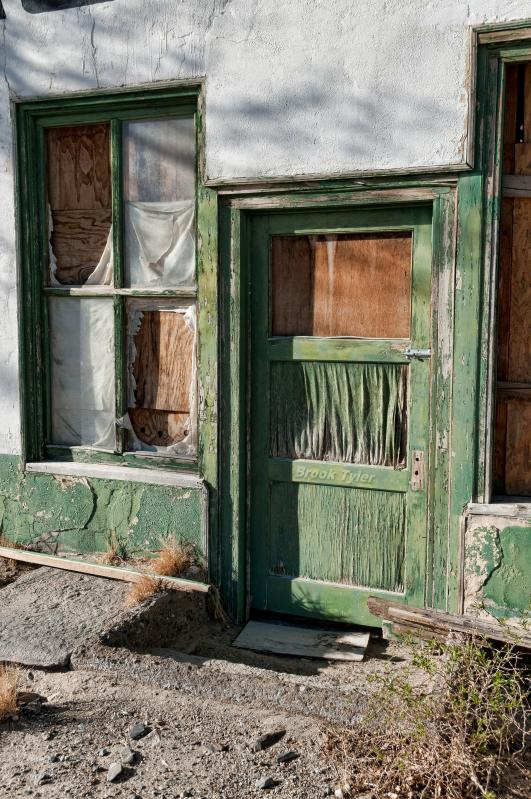 “I doubt the Liberty Broom Works or the Kustom Paint & Body Shop have been at this location for quite a while,” comments Barbara Hullett of Hullett Photography about the gritty abandoned edifice above. 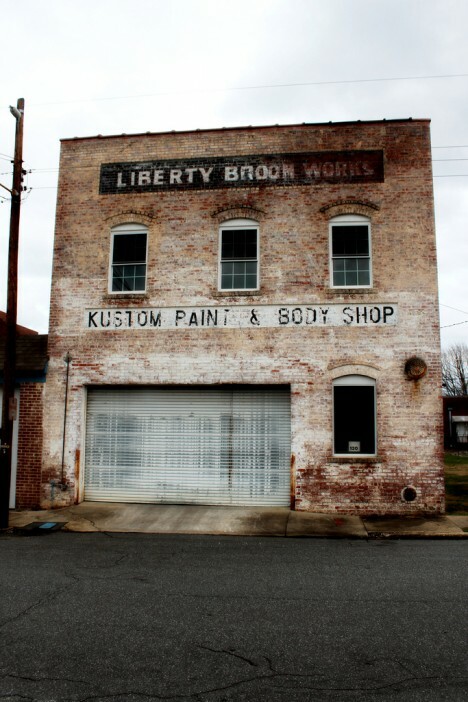 Located in Liberty, North Carolina, the curious conjunction of defunct businesses begs the question: which one was abandoned first, the broom works or the body shop? 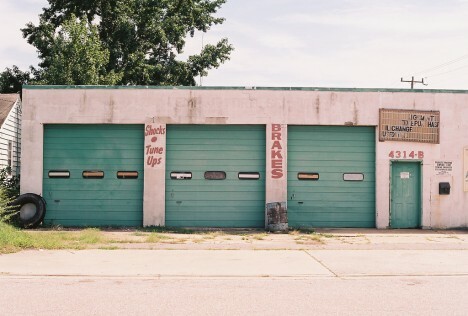 Small auto body and car repair shops of a certain age typically share a similar style and structure – cheap, practical, and plenty of garage doors. 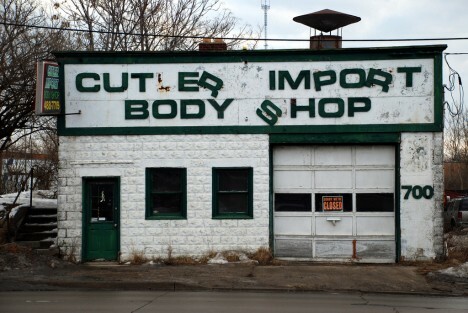 Though modern quick-lube and oil change shops are often built on this type of plan, it’s rare that one of the chain stores takes over a closed or abandoned body shop. 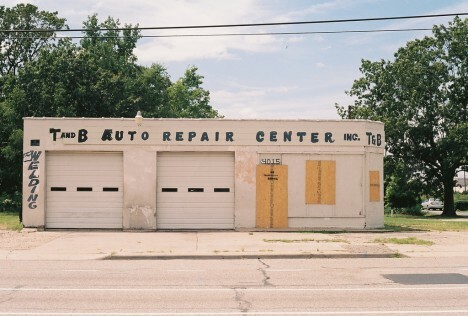 Flickr user Justin Wolfe managed to find two similar-looking abandoned auto body shops within a stone’s throw of each other in Newport News, Virginia, on September 20th of 2013. Owners of Ferrari, Porsche, Aston Martin and other exotic foreign makes must be scratching their heads, wiping their monocles and driving veddy cawefuwy since the Cutler Import Body Shop threw in the grimy, oil-stained towel. The Grandview Heights, Ohio establishment was captured in all its letter-shedding glory on February 7th, 2009 by Flickr user brew127.